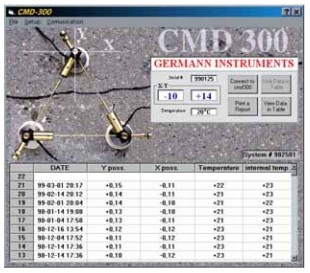 The CMD system is used to monitor the opening and closing of a surface crack as well as relative lateral movement between the two sides of the crack as a function of time. 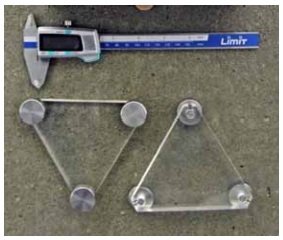 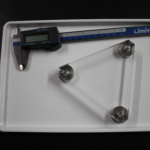 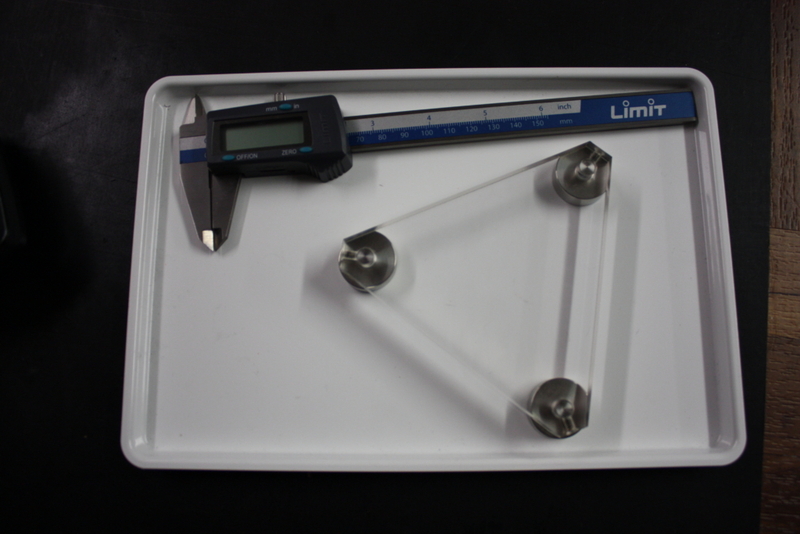 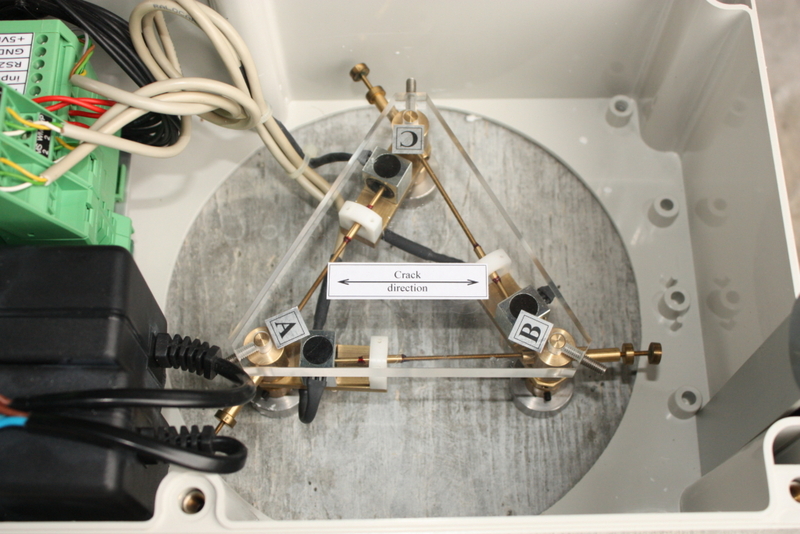 With the CMD (Crack Monitoring Device), a three-point rosette, in the shape of an equilateral triangle with 50-mm side lengths, is bonded to the surface. 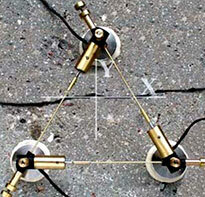 Two of the rosette points are positioned parallel to the crack, and the third one is positioned on the opposite side of the crack approximately half the distance to the base line. 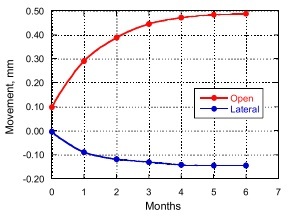 Temperature and moisture related movements, measured between points A and B, together with crack movement measurements between points A and C as well as between points B and C are transformed mathematically into the opening or closing of the crack and into the relative lateral movement of the two sides of the crack. 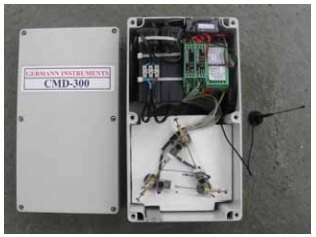 The measurements are made manually with the CMD-200 using a caliper, or they can be made electronically with the CMD-300 using displacement sensors (LVDTs). 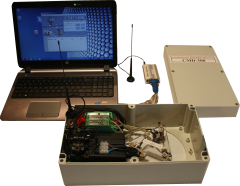 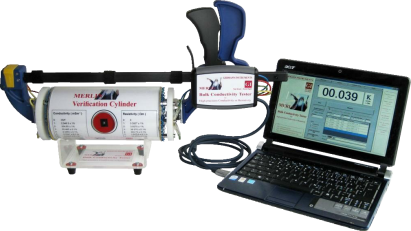 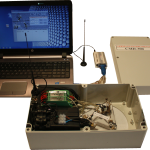 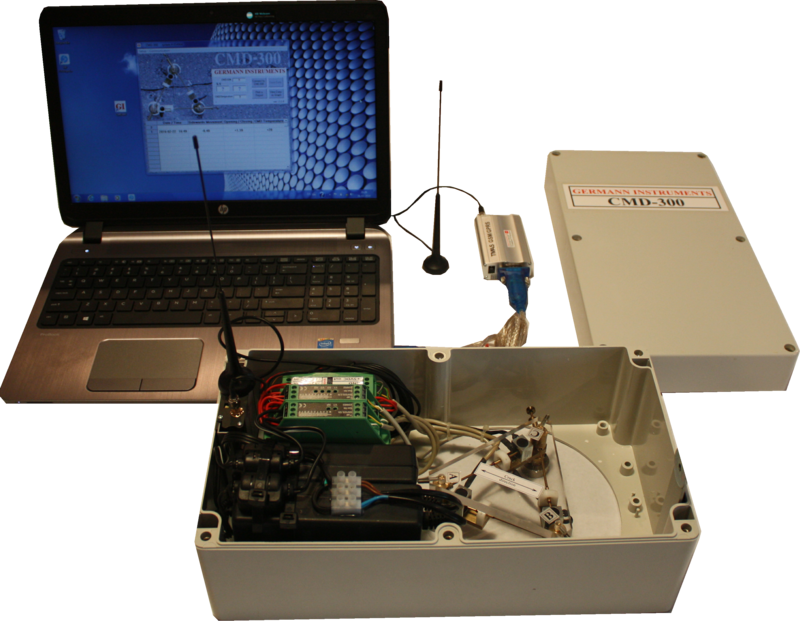 The CMD-300 also has the option for remote monitoring from the office by means of a GSM cellular phone modem. 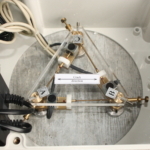 The purchaser supplies the SIM card. 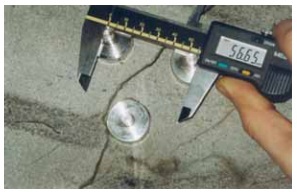 The resolution of the displacement measurements is 0.01 mm and the coefficient of variation for replicate measurement on the same crack is 5 %. 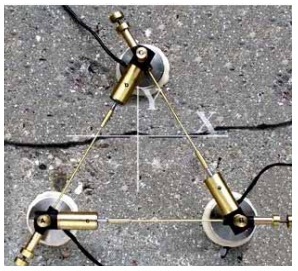 The CMD-250 manual contains the mathematical equations for calculating the crack opening or closing and the lateral movement based on the recorded distances between the rosette points.